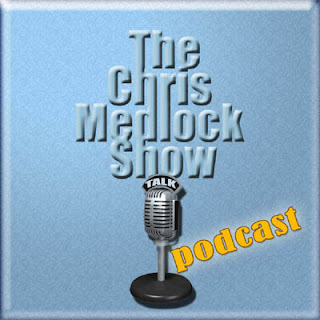 Despite the loss of our dog early this morning, I'm still planning on uploading the first ever Chris Medlock Show podcast Tuesday, May 5th at 2 PM. The show will not stream, but will be in the form of an .mp3 file, which can be listened to on your MP3 player or on your computer. I'm not sure at this time how long the show will be, but know it will be at least forty minutes, which will make it about the length of an hour of my old show on KFAQ. As I climb the learning curve and also address some technical issues with my hosting service, bandwidth restrictions, my blog provider and a myriad of other things, I will hopefully begin to do more and longer shows. Hope you will take some time Tuesday, when you get the chance, to "tune in." I'm looking forward to it. Ohh no! which dog was it? I'm sorry Chris. Looking froward to your show though.